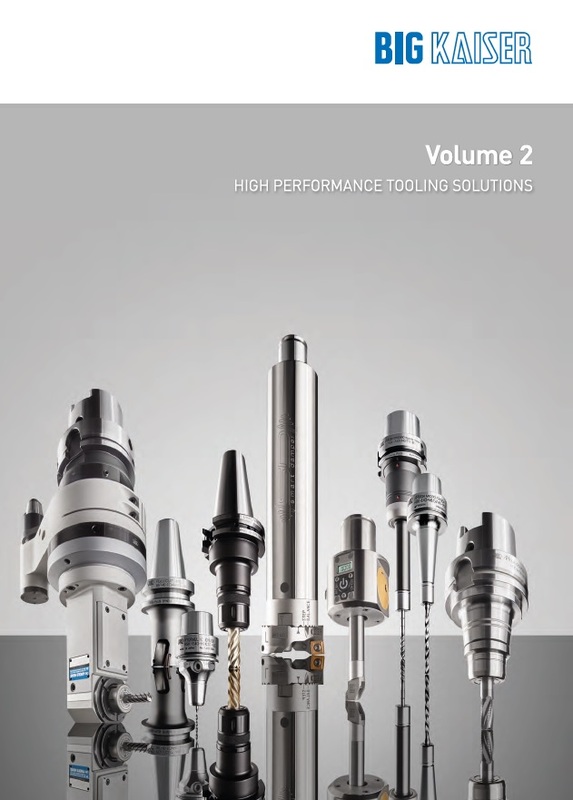 As an industry leading innovator in the development of high performance tooling solutions, BIG KAISER has now published the second edition of its product catalogue. The new catalogue is crammed with exciting new developments that are now available in the UK from Industrial Tooling Corporation (ITC) Ltd.
Volume 2 of the BIG KAISER product catalogue has over 500 pages of ingenious product lines, many of which will receive their global exhibition debut at EMO in Hanover. Packed with groundbreaking technologies, the catalogue has four product sections that include its marquee tool holding line, the ultra precise modular boring tools, the high performance cutting tool lines and also the uncompromising range of measurement instruments. Under these sections, BIG KAISER has categorised sub-sections for its comprehensive series of BBT/BT, BDV, HSK, BIG Capto, cylindrical shank, modular turning and turning tool holders. The modular boring pages have over 150 pages of boring head solutions that include rough and fine boring heads, large diameter boring tools and also the respective indexable inserts and cutting tools. Added to these specialist cutting tools is a dedicated cutting tool section that will encompass all of the BIG KAISER indexable end mills, indexable insert drills and chamfer milling products. Completing the new catalogue is the measuring instrument section that will showcase the high precision line of edge detectors, tool offset sensors, alignment and centring tools and of course the new Level Master that will receive its world premiere at the forthcoming EMO exhibition.